We asked Son where he would like to go for a day out (on the odd occasion we let him choose!). 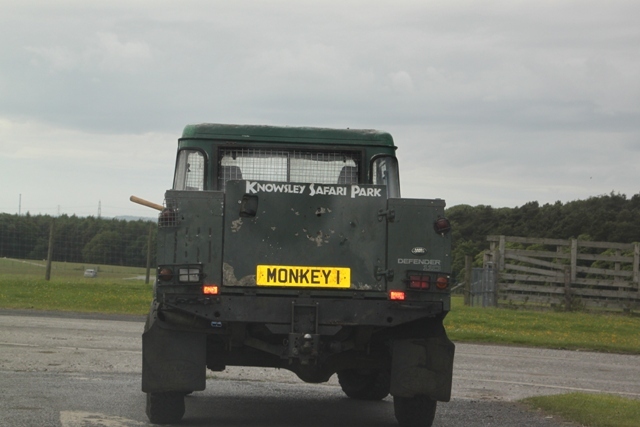 Knowsley Safari Park was his immediate response. Not an obvious choice – he is more the machinery/techno/gadget kind of kid, animals have never featured much on his hot list. We went with it though, something different is always good. 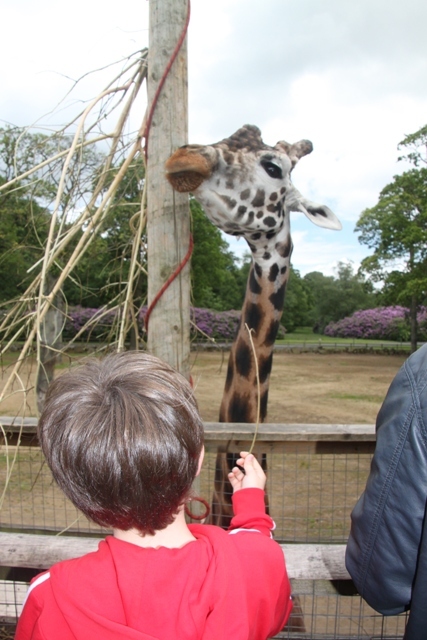 We had last been to Knowsley about 8 years ago when Son was a toddler. No big memories from that time, so it seemed opportune to check it out again. Ticket prices were expensive to say the least – £40 for the three of us, not a bargain by any means. 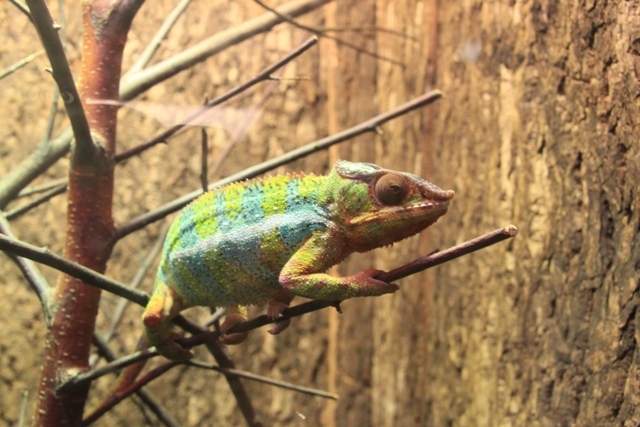 Originally the Earl of Derby started a private menagerie of exotic animals here in the 19th century. The safari park as we know it opened in 1971 and was the first of its type in a big city. 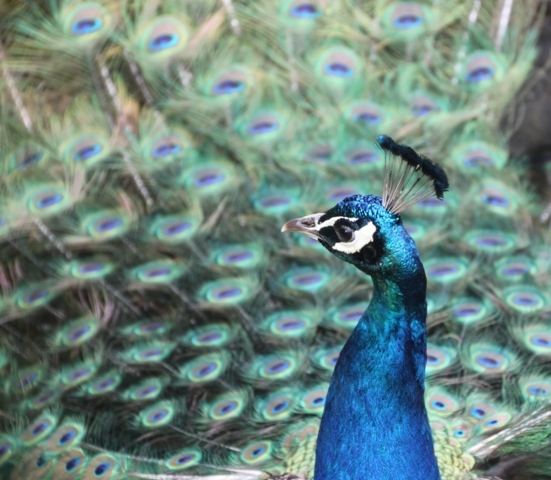 Nowadays half a million people visit the Earl’s former estate to see a collection of around 500 animals. 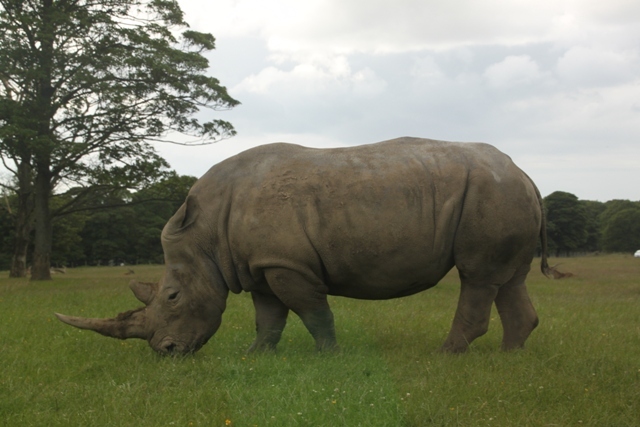 It is quite a strange feeling to be just a few miles from the centre of Liverpool but have lions, rhinos and zebras roaming (relatively) freely. 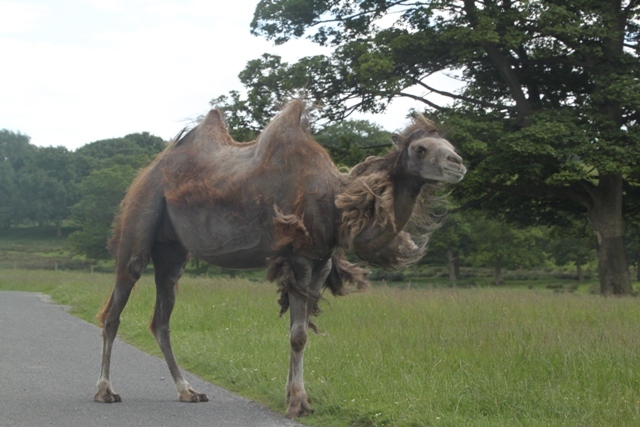 We started with the Safari Drive – 5 miles of parkland where you drive around and watch the animals go about their business. Of course there are separate enclosures to stop massacre on a huge scale – that would be a family day out with a difference. We saw lots of deer, sleepy lions, one solitary tiger, buffalo, rhinos and a herd of wildebeest. They have bongo and a pack of weird looking African wild dogs. 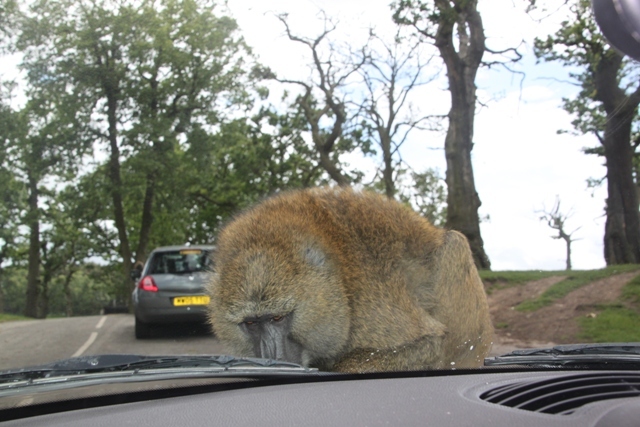 Having survived the lion enclosure, we reached the park’s infamous baboons – guaranteed to clamber over your car and wreak havoc. You can choose a “car friendly” route, but we decided to spice things up and live on the edge. 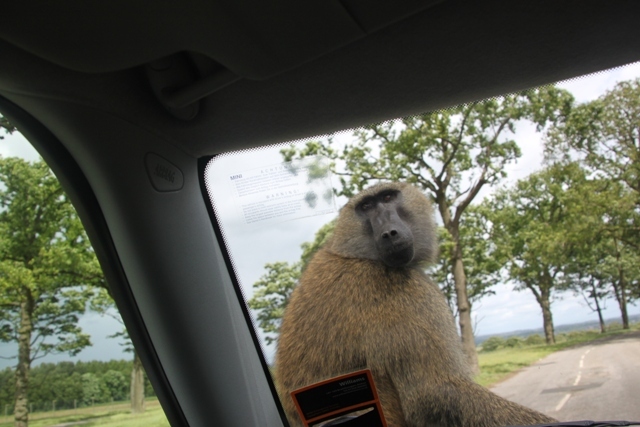 We warily drove into the enclosure and instantly heard a loud clump from the back, announcing the arrival of a huge baboon and his mates on the back of the car. Son loved that. They scampered over the roof, slid down the front, peered in at us for a minute then parked on the bonnet for a free ride. They proceeded to pull and pick off anything they could find on the car. Tensions mounted inside, husband got a bit hot under the collar, but we were helpless. We left minus the jets for our windscreen wipers. Not great, but watching the same baboons later rip off a license plate, maybe we got off lightly. 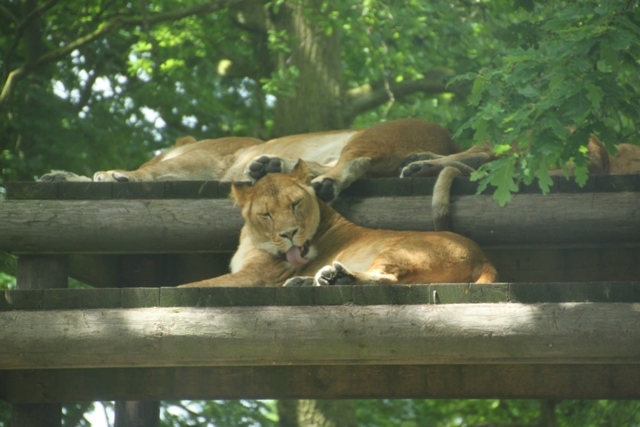 A more sedate walk around the other enclosures followed. We got up close and personal with a giraffe (my what a long tongue they have) and had a great view of the elephants from an elevated wooden platform. A quick visit to the (rather scruffy) bat forest and bug house were next. 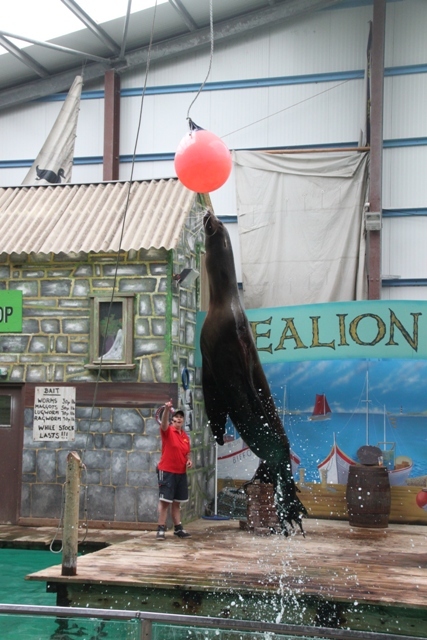 We bypassed the incredibly tacky and outdated amusement ride area and enjoyed a sealion show. 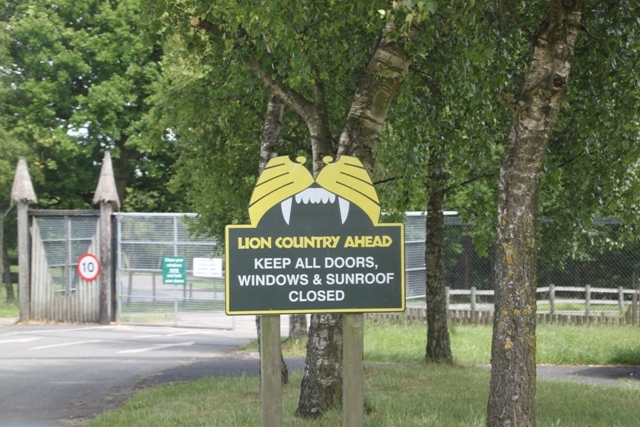 Before leaving, we had one last Safari Drive – this time the lions were up and ready for action. 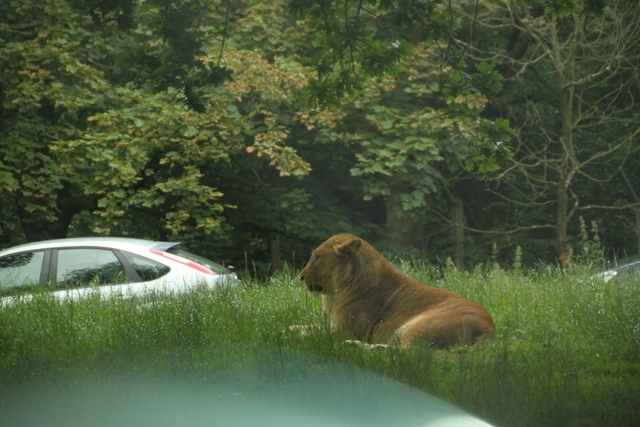 They were active and alert, prowling next to the cars. Son was definitely not comfortable with this (nor was I – we are such a brave family), so we moved along. 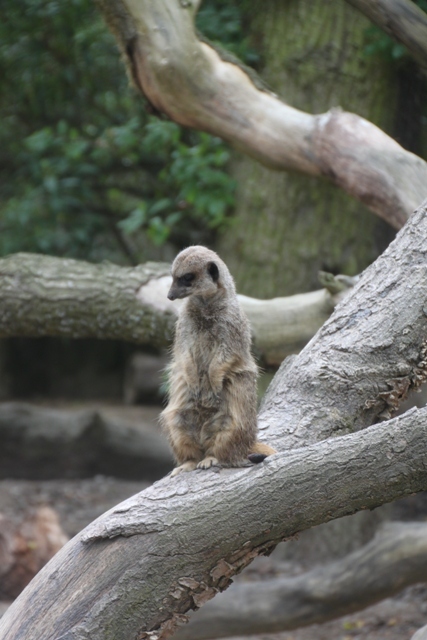 We enjoyed our afternoon at Knowsley, especially the Safari Drive. However, entrance is very over priced and the remainder of the park really needs a complete overhaul and a lot of investment. I don’t think we’ll be back. Looks like a great park and a good day out. For a real wild life experience put The Kruger National Park, South Africa on your bucket list. I see the point of safari parks like this – but it is not a patch on the real thing. Ha ha, Oh my gosh, I always wanted to come here but was always too afraid to because of the monkeys. I never knew there was a safe drive through option! Too funny 😛 The sea lion looks gorgeous! We took the safe option after experiencing the mischief they can get up to!! Still it was fun, but I would definitely recommend not going in! !